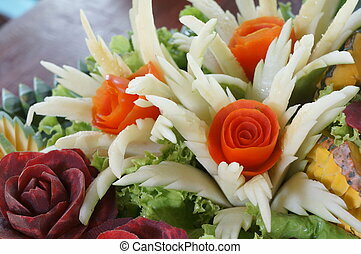 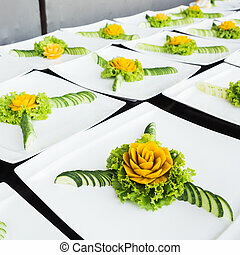 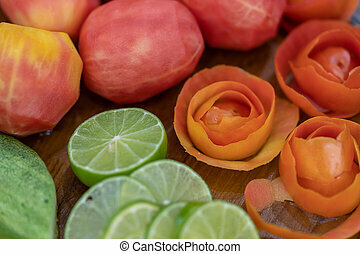 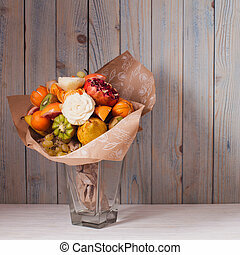 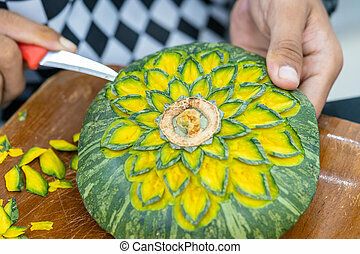 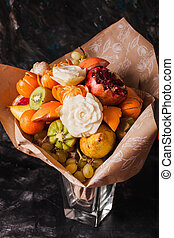 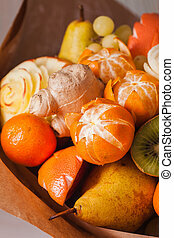 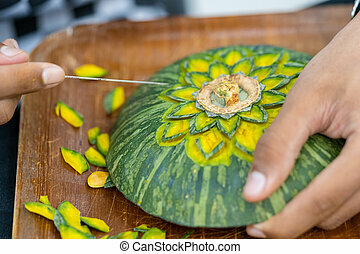 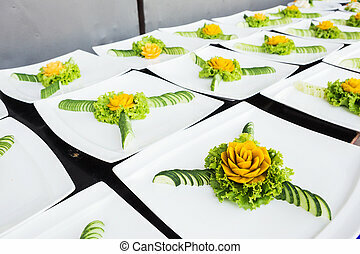 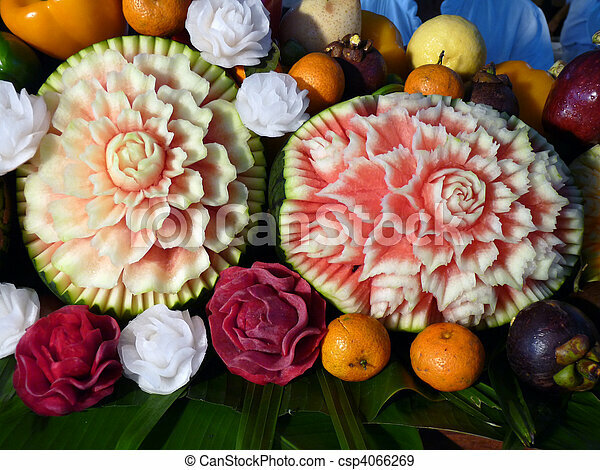 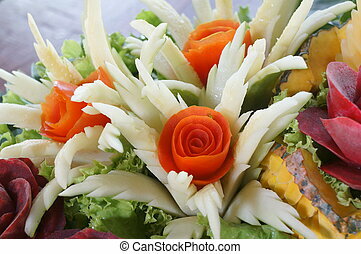 Thai fruit carving is a traditional. 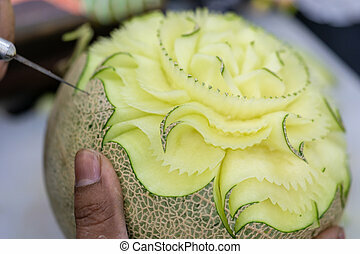 Thai art that requires neatness, precision, meditation, and personal ability. 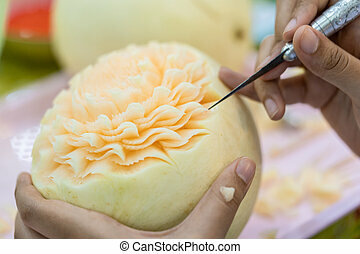 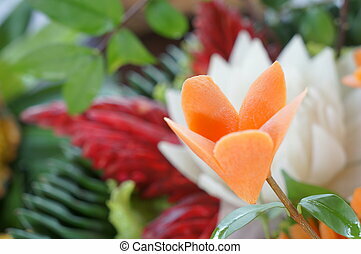 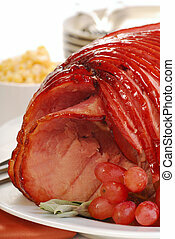 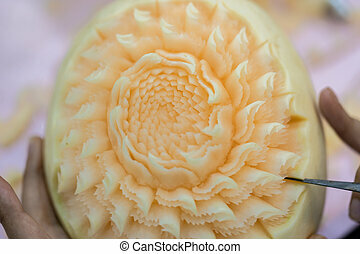 Fruit carving persisted in Thailand as a respected art for centuries.